Sciblogs | Women in science rejoyce! LEGO announce the Female Minifigure Set! Women in science rejoyce! LEGO announce the Female Minifigure Set! 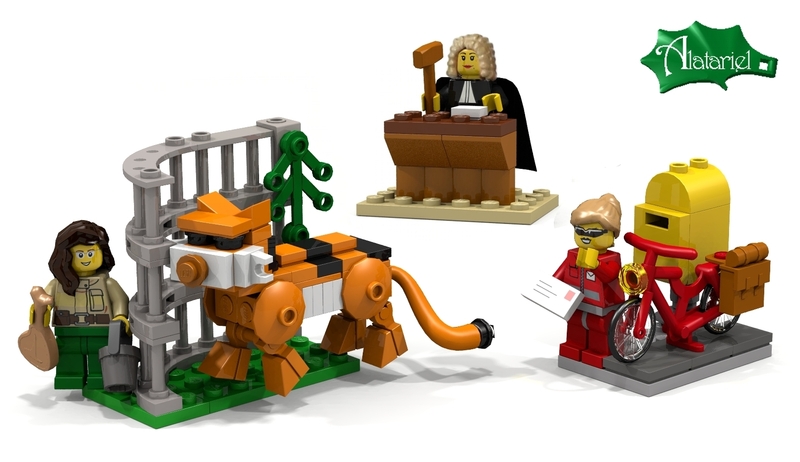 LEGO just announced the winner of their LEGO Ideas Winter 2014 Review and as a female in STEM I’ll admit I did a little happy dance at the winning Female Minifigure Set. LEGO actually do a really interesting thing and allow anyone to create, upload and then share an idea for a LEGO set that they want to see being made using their ideaLEGO page. If the submitted idea receives 10,000 votes, the set goes to the review phase, where the LEGO review board chooses if it will continue through to actually become a new manufactured set. The concept was actually submitted back in 2013 for the Fall 2013 review by a female geochemist in Stockholm named Dr Ellen Kooijman. The review process seemed to take longer than expected as LEGO state that “each concept has to be tested for stability, playability and safety before LEGO will commit to mass producing it”, so now it will be a Christmas gift idea as part of the Winter 2014 rollout with the set name ‘LEGO Research Institute’. 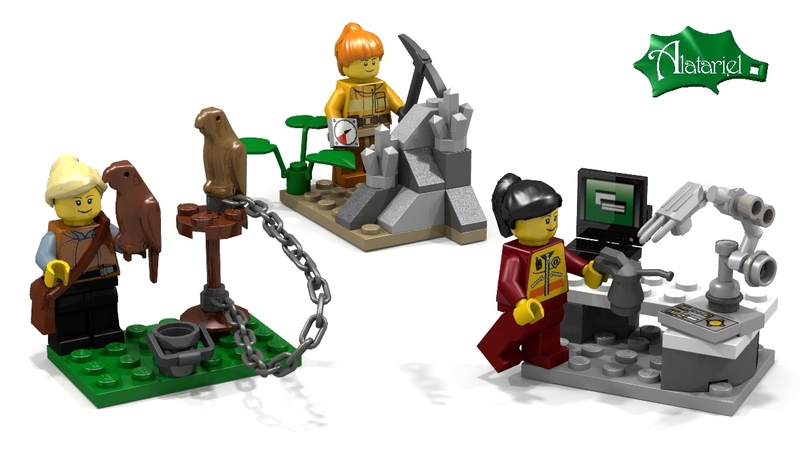 Ellen writes that she “designed professional female minifigures which show that girls can become anything they want, including a paleontologist, a chemist or an astronomer”, which are the three choices in the set. 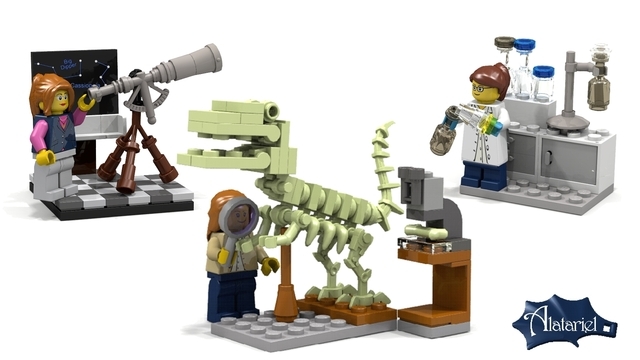 I have to admit the dinosaur skeleton is swaying me towards the paleontologist, but to be honest I’ll probably buy all three! To continue on with the female set Ellen has already designed anther series which includes a falconer, a geologist and a robotics engineer. In addition to a zookeeper, a judge and a post girl. Any toy that encourages girls to play in a way that encourages their curiosity and nurtures against typical stereotypes has my vote and I really hope that LEGO make the rest of the concepts that Ellen has designed. The official LEGO announcement video can be seen here and they claim that these new figures should be on sale by August 2015.